Try them in the following favorite everyday applications. Essential oils can help rid the air of unpleasant odors and unwanted bacteria. Diffuse a cleansing oil like lemon or Purification in your children’s bedrooms, or help control mold by diffusing Thieves. Oils like Thieves, Purification, Citrus Fresh, or peppermint can be used in a humidifier or dropped onto cotton balls and placed in home air vents. Keep a diffuser in every room of your home! 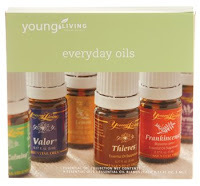 Essential oils can be diffused for stress relief, respiratory discomfort, energy, mood balance, and emotional support. Try adding several drops of peppermint or PanAway to bath water to help ease muscle tension or calm the mind and body. Create your own bath and shower gel by adding a favorite essential oil like grapefruit to Young Living’s Bath & Shower Gel Base. When hosting a holiday party or a baby shower, add the pleasant smell of tangerine, lemongrass, or geranium to potpourri or an essential oil blend like Christmas Spirit to pinecones and cinnamon sticks for festive holiday ambiance and aroma. Wear Valor or White Angelica for confidence and a positive attitude. Pure essential oils like rosemary, oregano, cinnamon, and spearmint can be used in place of herbs, spices, and flavoring agents in your everyday cooking. Use lemon oil to grill vegetables, add peppermint oil to hot tea, or use black pepper oil to spice up a favorite marinade or salsa. Drop PanAway oil blend on stressed muscles and massage or cover with a moist, hot towel. Rub Purification on exposed skin to avoid bug bites. Apply lavender oil to help soothe burned or stressed skin. Drop R.C. on the chest to ease respiratory discomfort. Add Roman chamomile to healing salves for minor bruises, cuts, and scrapes. Massage Di-Gize on the abdomen to help soothe minor stomach discomfort. 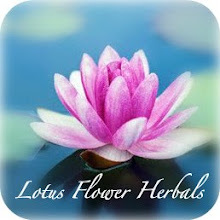 Utilize 2–3 drops of Valerian in a capsule and swallow to aid with peaceful sleep. Try rubbing Peace & Calming or lavender behind the ears of overactive pets. Use helichrysum and Roman chamomile to help soothe minor discomforts and wounds. *Essential oils are highly concentrated and should be used with caution. Please refer to Young Living’s Essential Oils User’s Guide for more information about using essential oils safely. **Before cleaning upholstery, fabric, or carpet, perform a spot test with Thieves Household Cleaner in an inconspicuous area. Discontinue use in the unlikely event of staining or skin irritation.